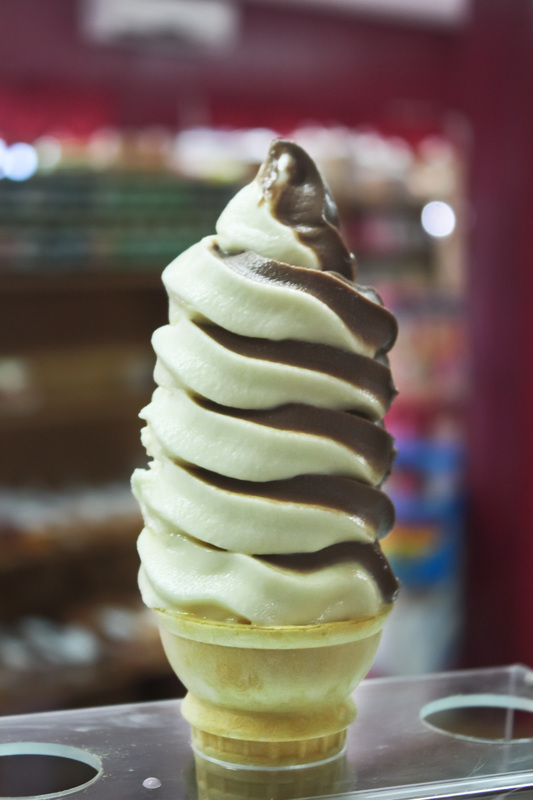 All summer long, we serve up our famous homemade recipe of Soft-Serve Ice Cream and shakes made with the same recipe. Especially Featuring our own Huckleberry Shakes, made with real locally-picked wild Huckleberries! 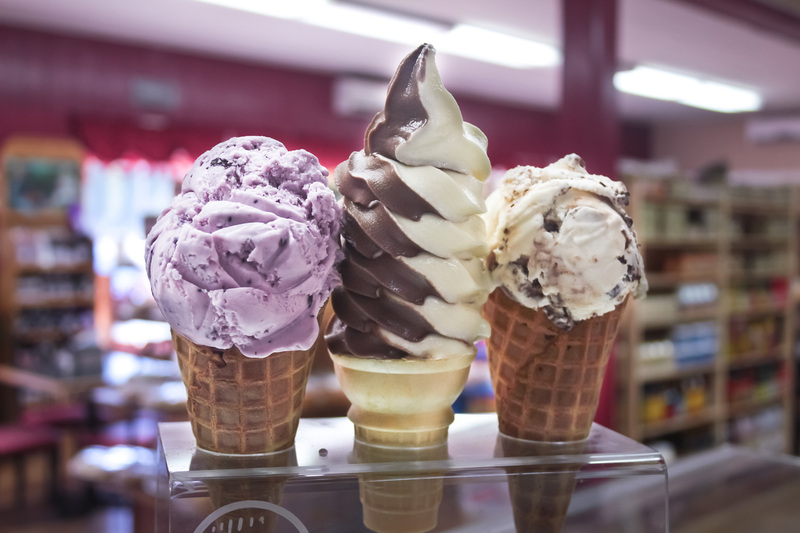 We also hand-scoop our Hard-Serve Ice Cream from Cascade Glacier. 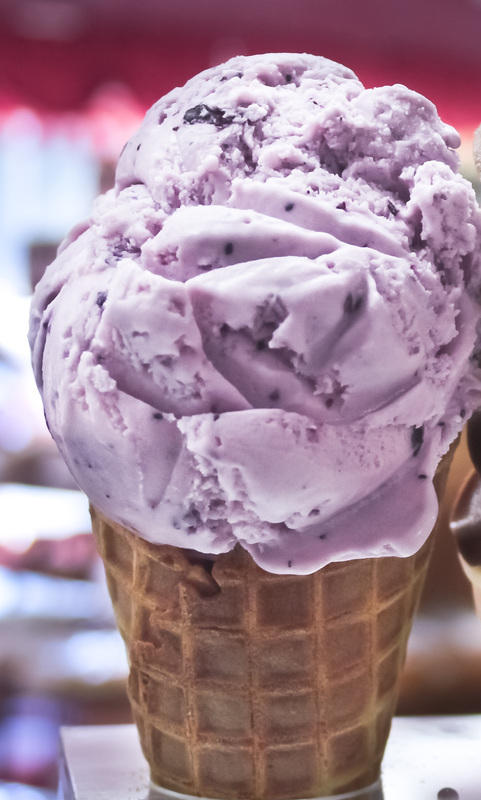 Some of these flavors are subject to change throughout the year, but a few of the permanent favorites are Huckleberry Heaven, Moose Tracks, Mango Sorbet (Dairy- and Gluten-Free! ), and Salted Caramel. Made from our own special recipe, this is much better than any mix-based soft serve ice cream. 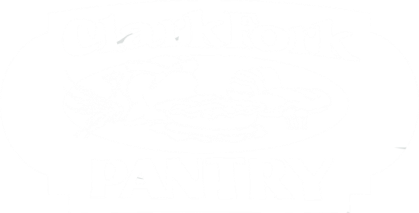 We use fresh Whole Milk, non-GMO sugar, Real Vanilla extract, and real cream in our own secret recipe. 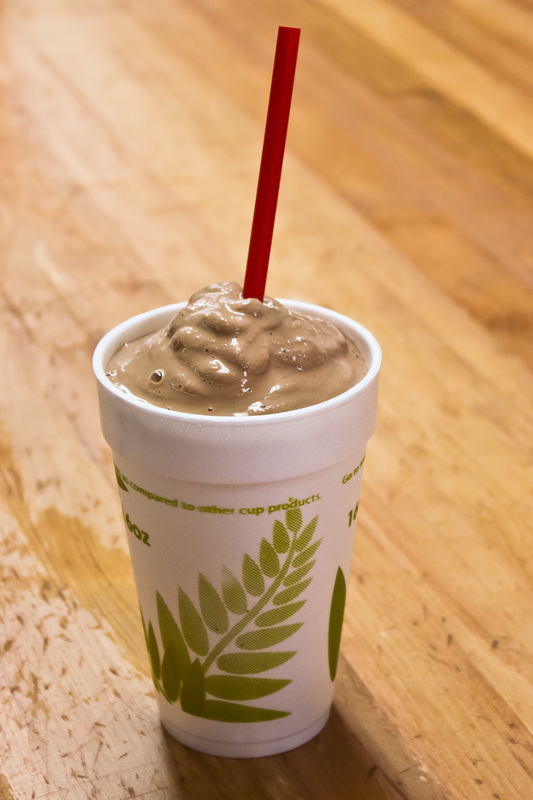 We use our own soft-serve ice cream recipe in our homemade milkshakes. Choose from Chocolate, Vanilla, Strawberry (Made from real strawberries), Caramel, Butterscotch, Black Raspberry, and Huckleberry* (Made from real, locally picked, wild Huckleberries). *Huckleberry shakes available depending on supply. We sell exclusively Cascade Glacier Hard Serve ice cream. With twelve flavors to choose from, you are sure to find something that suits your fancy. Some of the flavors may change from time to time, but we will do our very best to make sure that we always keep Huckleberry Heaven, Moose Tracks, Salted Caramel, and several others of your favorites in stock all the time.